For the past 5 years I have been suffering from a Chronic Fatigue/fibromyalgia type illness. some brain fog, slightly blurred vision, ringing in my ears, and depression. Also an Itchy scalp and energy crash and joint issues in my knees. After being totally dismissed as a time waster by the medical establishment, after extensive blood work proved inconclusive, I decided to research my symptoms. What I have found to be of help is by using the neutromedix range of products samento, cumanda and burbur together with taking vitamin C and magnesium supplements my condition has improved. I have also been attending a course of bioresonance treatments. The interesting thing is that prior to becoming sick I was running my business from home and was working long hours in a dimly lit and slightly damp basement area. What I was wondering is as I didn't take a holiday for a period of 7 years could it be possible that I have Vitamin D Deficiency Fatigue? and would the bioresonance treatment address that problem or should I think about taking some supplements? I'm glad that you have found relief of many of your symptoms and YES, I can virtually guarantee that you are vitamin D Deficient- and likely EXTREMELY severely. Just the fact that you have chronic fatigue/fibro, I would make a large bet with you that you are certainly deficient- but the fact that you are not supplementing and working indoors (it doesn't matter whether it's dimly lit, brightly lit or sunny and bright with natural light through windows. If you work indoors you don't get vitamin d). So, the REAL question is, why do you think that you would NOT be deficient? When was the last time you got ANY Vitamin D? I'm not trying to pick on you, but just trying to make a point to people. Most people wonder why they ARE vitamin D deficient when the real question is why would you NOT be deficient? 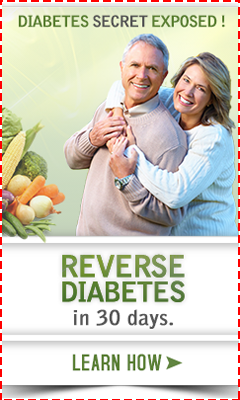 But anyway, NO, you should NEITHER do bioresonance for your vitamin D levels, NOR should you take supplements. This is because you absolutely MUST have a Vitamin D level first David!! If you are as deficient as I think, it's likely that you are going to need somewhere between 600,000 to 1 Million IU's to get an Optimal Vitamin D Level. And there is NO WAY that you should take high doses without getting a level first, plus, in order to get relief of symptoms, you must get your levels up. If you don't take enough to get your levels up, you will conclude that Vitamin D doesn't work, when it's just that you didn't take enough!! So, really, it's VITAL that you get a vitamin D level FIRST, then take Vitamin D3 Absorption Pack with Vitamin D3 as per the Vitamin D Deficiency Treatment page. Please do no less for yourself. Come back and let us know what your levels are because you are going to be shocked and worried. Thanks for replying to my question Kerry. simply increasing my exposure to natural sunlight? And how long would it take to get my equilibrium back? You COULD- if it were March through October. 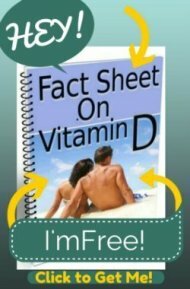 There's ZERO vitamin D in the sun in the winter, see the Vitamin D in Winter page. HOWEVER, natural sunlight (particularly in the AM) has something very healing about it that the doctors who ran the 'Heliotherapy Clinics' in the 1800's noticed. Even 2 doctors running clinics on 2 seperate continents who didn't contact each other noticed that the patients that they woke up with the dawn and exposed them to the early morning sun- even covered up- got better quicker. So, there's something very healing about sunlight- completely seperate from the Vitamin D issue. So, please. Get a level and get some supplements. If you've had chronic fatigue syndrome for some time there is no way sunlight on its own will cure you unless you have about everyday for five years of sitting in the sun available as a treatment option. You need optimum levels for that length of time to get all your body parts fully working again, your body only takes in 20,000 units a day in the sun no mattter how long you sit out. I just learned recently that to stop ringing in the ears one needs to have good levels of B vitamins -- especially B3, B6, B9 and B12!! Getting Vitamin D levels up! It seems that we are all unique in how much Vitamin D we need each day. AND that changes with how much sun we are able to get and if we have any illnesses. I usually take 10 to 20,000 iu. per day (or more often if I am ill) since the vitamin D is used to deal with the illness and is also used up to deal with inflammation. So I am guessing that those who have chronic inflammatory illness have a much higher need for Vitamin D than those who are healthier.